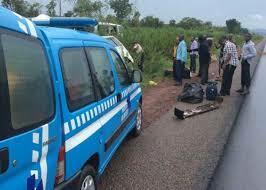 Seven dead in Kwara road accident – Royal Times of Nigeria. The Federal Road Safety Corps (FRSC) has confirmed the death of seven persons in a fatal accident at Osi Bridge on the old Ilorin-Jebba-Mokwa road along Apado in Ilorin East council area of Kwara State. The Sector Commander, Uchechukwu Wihioka, on Tuesday said the crash, involving a Toyota Dyna and Toyota Hiace was caused by dangerous driving and wrong overtaking. The dead, according to him, included three males and four females while 34 adult females and 24 males were injured in the incident. Also injured were 12 children, comprising six boys and six girls. Wihioka attributed the cause of the crash to dangerous driving and wrong overtaking. The FRSC boss said the Dyna truck driver could no longer control the vehicle after finding himself in the dangerous condition. 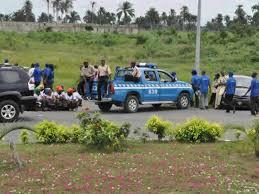 He said a combined team of FRSC officials and men of the police came to the scene on time to render necessary assistance. Wihioka cautioned commercial drivers and other road users to always drive with caution. The sector commander also urged passengers to drive along with commercial drivers, so that they could caution them when driving recklessly. Wihioka added that passengers have the right to do that, adding that lives would be saved when everyone is involved in road safety.